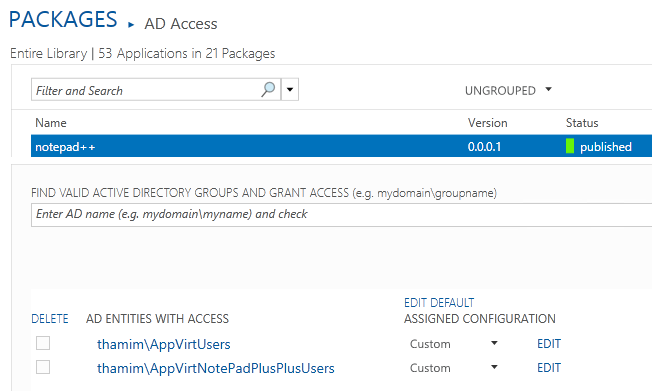 In App-V 5.0 we have the great ability to have user specific configurations applied to different AD groups for the delivery of an application. Essentially meaning one set of users can receive an application in a certain way and others users will get the same application in a different way. Above I have published NotePad++ to two different AD user groups, each with a different configuration (in this case each with a different script). Here’s the interesting part however, what if my user is in both of these AD groups? Which, if any, script will apply? How are conflicts handled? 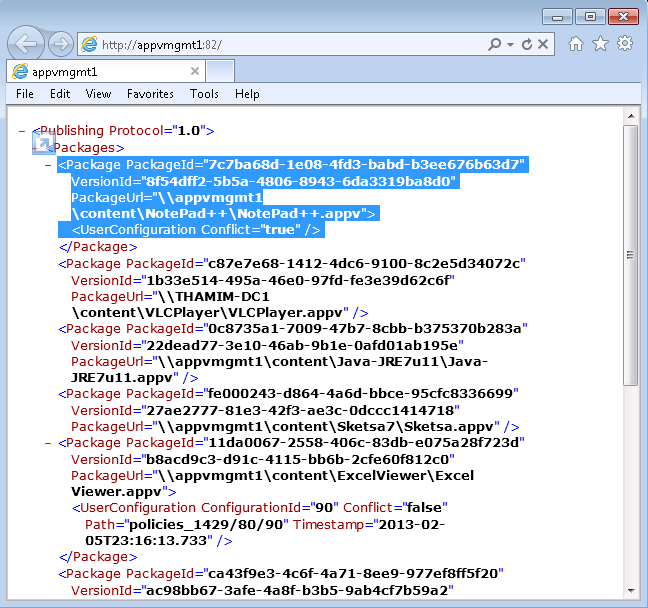 As you can see ExcelViewer has been published to this user with a custom configuration, also notice the Conflict=”False” value meaning no other user configurations have been applied to this delivery. So what about the NotePad++ example we mentioned at the start, two configurations to two AD groups however our user is in both groups, well…..
You will noticed above “Conflict=true” against the NotePad++ deployment meaning it has been detected that the user is in two AD groups that have different user configurations, the conflict detection has kicked in and neither configuration will apply! 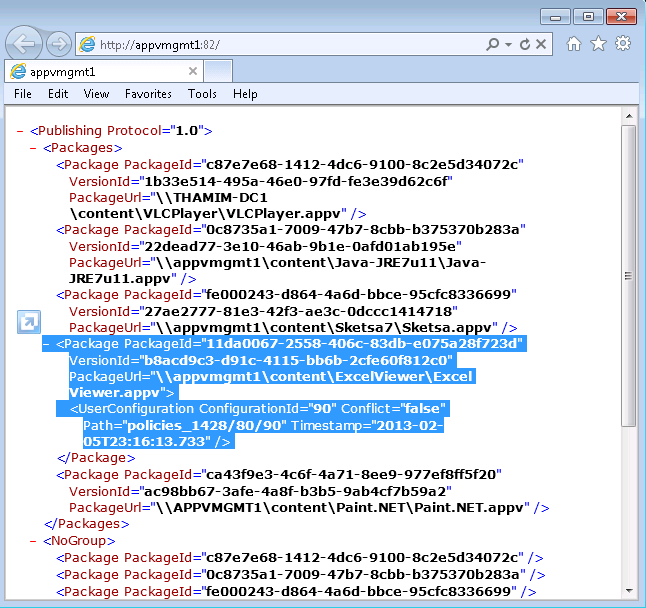 In other words the user in this instance will get the package in its default form.